If we were able to, us gamers would quite probably be happy to sit with a controller in hand for 24 hours a day, 7 days a week, 52 weeks a year. Eating would be pushed to one side, and drinking to the other, as real life gave way to the virtual world and the joys that it brings. But we’ve all been there and day long sessions need more than just a TV screen, console and controller. 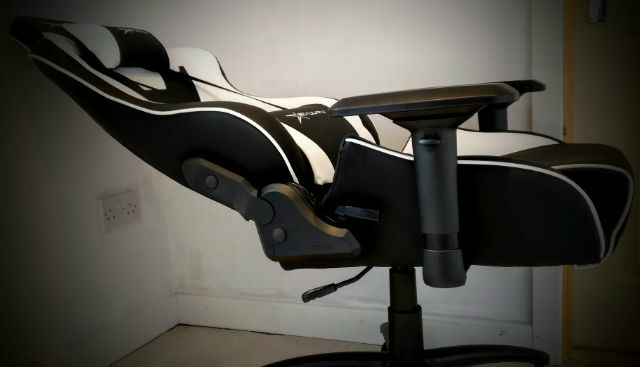 There needs to be comfort, and no matter how much you think your bed is the best place to lay whilst gaming, or the sofa is for lounging whilst you take the fight to the hardest Dark Souls boss, for the most intense gaming sessions you need a chair. 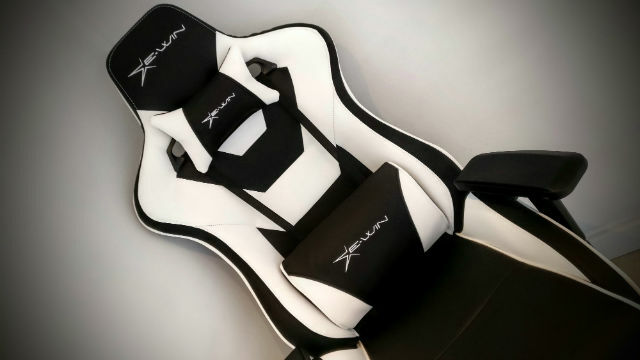 A chair that has been designed with gaming in mind. The Ewin Flash Series Gaming chair in fact. Ewin are relatively new kids on the block – only having decided to specialise in gaming chairs since 2016 – but they’ve already got a reputation for delivering cheap but quality products. And that is pretty much what they’ve done with the Ewin Flash Series of gaming chair. Gaming is an expensive enough hobby as it is, with games and consoles quite happily taking up the bulk of any take home pay should you wish them to, but things get even more expensive when we take a look at the accessories that make our gaming sessions all the better. Headsets can roll into the hundreds and gaming chairs can go even higher. 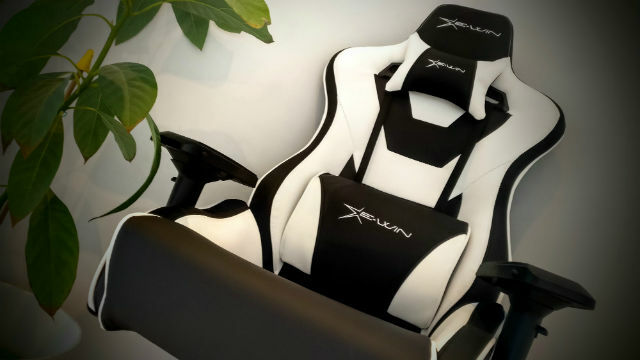 But Ewin are here to prove that not everything has to be super expensive to be good – and even though the white Flash gaming chair that Ewin have kindly provided looks great, it only comes in at £300. In a world motivated by squeezing every last drop from every loyal gamer, that must be commended. Yes, I know that isn’t the cheapest price on the market, and you could quite easily pop down to your local games store and grab a considerably cheaper product. But would it be as comfortable as the Flash? I’d guess not and as far as bang for your buck goes, the Flash is right up there. So what do we have? Well, visually Ewin have pulled one out of the bag with the white and black Flash. It comes with a durable steel frame which sees a high density memory foam base dropped onto it. This is then covered in a glorious wipe-clean PU surface to create a firm but comfortable seat that is good for many an hour of gaming. As you would expect, the seat is fully height adjustable thanks to an easy to use lever on the underside of the seat, delivering a multitude of heights to suit your body type. My 6ft 2in 85kg frame fits in nicely and there is just enough hug from the sides of the seat to allow for comfort. That said, if I was any larger then things may well be a bit different and a little more room either side of the hips would be required. 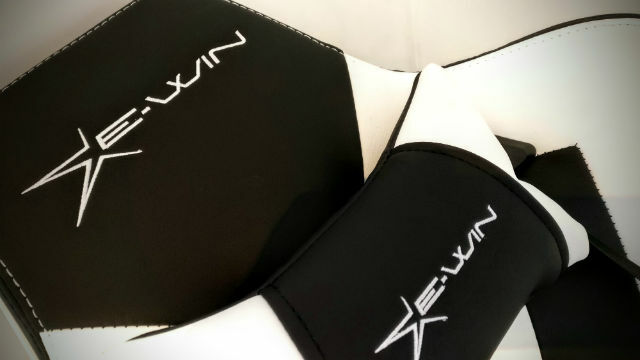 The 4D armrests that pretty much come as standard now on many decent gaming chairs are present, and these can be raised, lowered, swivelled, rotated and placed in all manner of directions and positions. They are fairly soft too and even after sitting in the chair for a few hours at a time I have yet to find any indents where the arms are resting. I’m not sure why these armrests never seem to come covered in luxurious padding though. That would be an optimum setup in anyone’s eyes. The Flash also allows for reclining and a swift pull of the lever on the right side of the base will see you being able to position the back rest at any adjustment between 85-155 degree angles. Why anyone would seriously consider dropping the back as far as it goes, unless you’re planning on sleeping in it, is beyond me, but the range in movement is great and it’s a cinch to set things how you like. There is also a degree of tilt to the seat base and whilst this has been troublesome to operate once you find your desired tilt it sits in place very nicely indeed. And all that’s left to talk about after that is the five-pronged aluminium base and the casters that it sits on. But honestly, what is there to mention about those? Lovely black coated alu and large castered wheels are pretty much the norm nowadays. They work well on both carpet and hard flooring, with the slightly over-sized nature of the wheels allowing for plenty of movement. Sat here today, does the Flash take pride of place in my gaming sessions? Well, no, but that’s because it is going up against a considerably more expensive product in the SecretLab Titan Stealth chair – something which is a bit more spongy and just a tad more comfortable in the long term gaming stakes. But that also comes in at a different price point and shouldn’t be seen as a direct comparison. It’s pretty much like comparing a Ford to a Jaguar – they both do the same thing very well, but one is just a little more luxurious. I have to point out that Ewin have created a brilliant product in the Flash gaming chair. However, other than for styling purposes, I can’t work out any reasoning for placing the huge lumbar support cushion anywhere near the thing. With it attached, it makes the seat near on unusable and it took just a matter of minutes before I had to feed the straps through the racing loops and throw it to one side. With that removed, comfort is hugely increased and allows for any gamer to spend a good few hours pounding away with their favourite games, making it a more than attractive option for anyone wishing to get in on the gaming chair bandwagon. It’s also fairly tricky to put together out of the box. The instruction booklet, although clear, features a set of images that are initially tricky to follow, and actually connecting the seat back to the base with the included screws isn’t as easy as it should be. You’ll most definitely require a second pair of hands in order to put this chair together – if only because holding the back rest and hunting down screw holes alone is no easy task. Other than that though, it all goes together with ease. But at the end of the day, the Ewin Flash does exactly what Ewin have set out to do – bringing a quality gaming chair at an affordable price. It looks great, it’s comfortable to sit in, and it should help enhance any long gaming sessions. The lumbar pillow issue aside, and for the price it comes at, you should be sticking this on your shortlist right now. If you want to pick up the Ewin Flash Gaming chair (or any of their chairs for that matter), and wish to save a little money, then head over to Ewin right now and use the code ‘XboxHub’ to nab 15% off the price.